1. Mix Jello into with boiling water (I microwaved the water in a large glass bowl until bubbling). 2. Stir in pie filling and pineapple. Mix well then pour into a greased baking pan. Carefully move to the fridge and chill until set (about 2-4 hours). 3. To prepare the topping, beat whipped cream cheese, Greek yogurt, sugar and vanilla using a hand mixer until smooth. 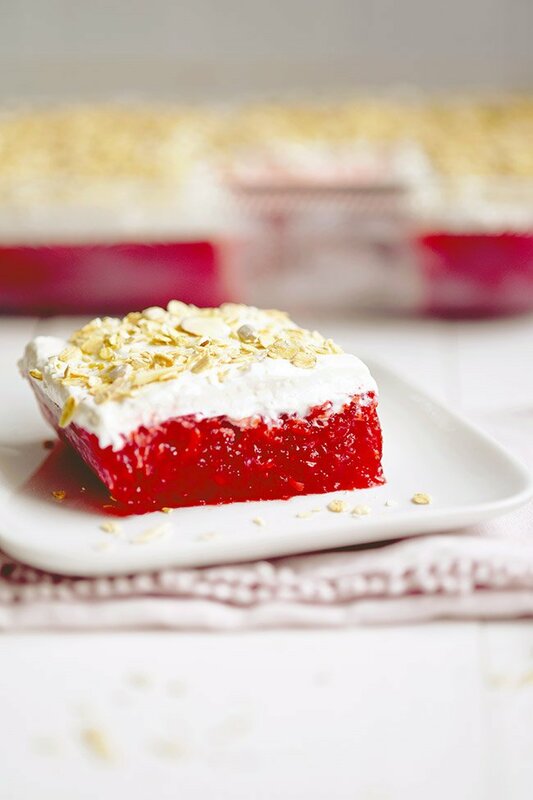 We are kicking it old school today with this Jello cream cheese dessert made with pineapples and cherry pie filling! Is this a recipe you remember from your childhood? Or maybe it just brings back fond memories of eating Jello on your grandma’s floral-print couch watching Jeopardy? Just me? So, I still love Jello. And when I recently asked my family to send me their favorite childhood recipes, this is one that I got pretty excited about. This one came from my mom’s side of the family from my cousin’s partner, Anita. 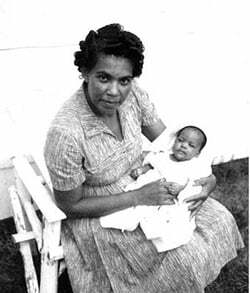 Her grandma, Thelma, used to make this dessert and they enjoyed it at a number of their family gatherings. 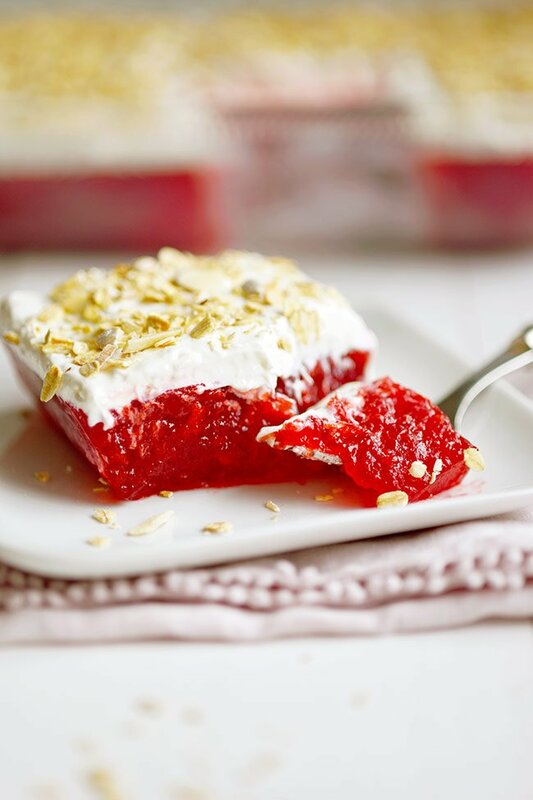 This Jello dessert is almost like an upside down, no-bake cheesecake. The bottom layer is a mixture of cherry gelatin and pie filling lightly gelled together with crushed pineapples. The second layer is a sweetened mixture of whipped cream cheese and Greek yogurt. Now, the original recipe called for sour cream but I was out and I thought Greek yogurt would do the job while lightening up the calorie count of the dessert. Win-win. One other change I made was to the topping. Grandma Thelma’s original recipe called for chopped nuts but the hubs is allergic to peanuts and most nuts have a trace amount of peanuts, so I opted for a granola topping. It’s super easy to make. Like literally takes 10 minutes of prep all said and done. This recipe contains real fruit and cream cheese so it’s a dessert with actual nutritional value. It’s so versatile. Not a huge fan of cherries? Try using strawberry pie filling or any other fruit you prefer then choose a matching jello flavor. You could also swap out the pineapples for a different fruit. Get creative! Any fruit combo works. You don’t need a Jello mold. You could put this in a mold if you’ve got one. But I opted to use my glass casserole dish. You can still see the pretty layers, but you don’t have to hold your breath hoping it stays in one piece while you flip it. Pro tips: Grease your casserole dish with butter and the Jello wont stick to the sides, making it come out much easier when you go to cut a slice. Also, you’ll want to use a pretty large casserole dish. I used my Pioneer woman casserole dish, which I love because it’s so pretty, but the jello mixture just barely fit so moving it from my kitchen counter to the basement fridge without spilling any was a real challenge because the mixture is very swishy before it sets. 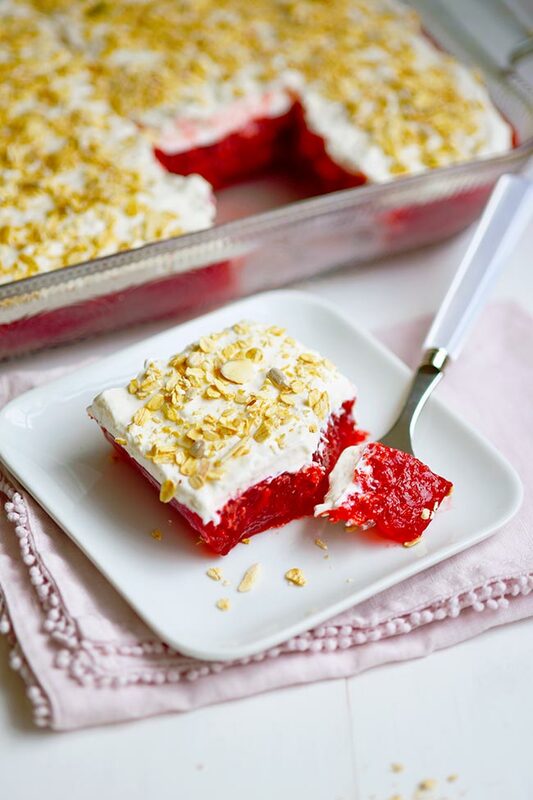 This Jello Cream Cheese Dessert recipe was featured on South Your Mouth.